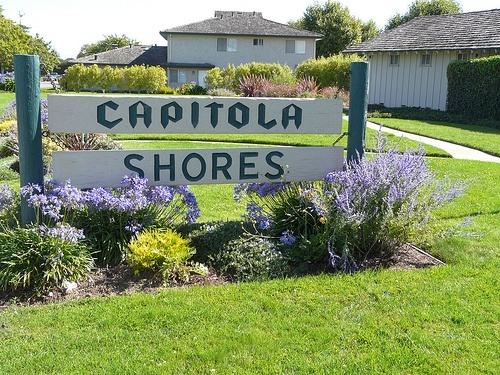 Capitola Shores condominiums offer Capitola real estate ownership to the beginning homeowner or part time resident, an affordable price, in a central Capitola location. 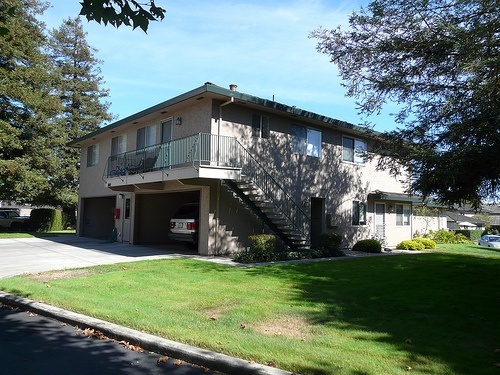 For the beach lover or for a senior looking for a single level home, Capitola Shores condominiums are a good value. It is Jewel Box living at a good price. Read more aboutCapitola Shores Condominiums, or view other Capitola condominium MLS listings below. If there aren't any Capitola Shores condominiums available, search the other Capitola condominiums. 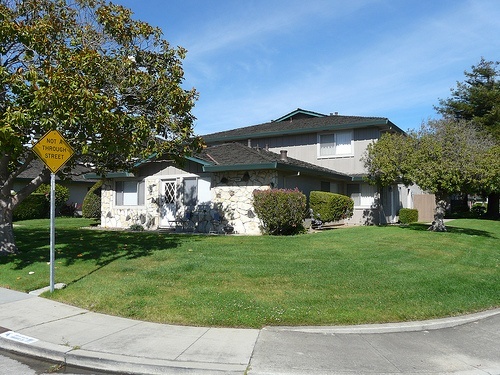 Capitola Shores were a McKuen development in the 70's featuring a design where 4 units are clustered together. One unit is usually a single level ground floor ( # 1), one a single level upstairs and two are townhouse style. There are 348 units spread out over a fairly decent sized area.These units are 2 up and 2 down. They have common laundry areas, a pool and each building has one covered and one uncovered parking space. 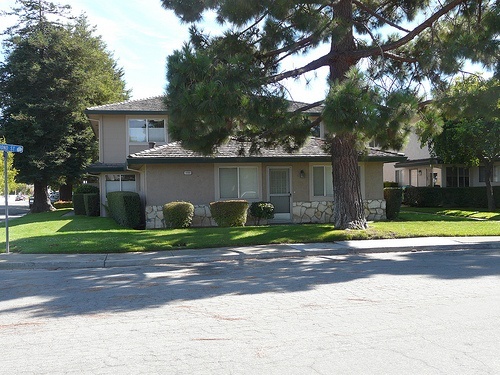 These are all 2 bedroom units and mostly all about 800-850 square feet. They have 1 covered space under the building and an uncovered one in the driveway. 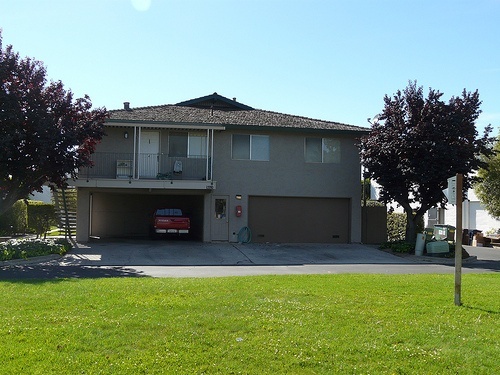 They have a nice urban setting and are convenient to walk to the park, grocery shopping and there mall are close by and the commute location is good. Great affordable starter homes for many. They have names like Ruby Court, Diamond, 42nd Avenue, 45th Avenue and Jade Street. 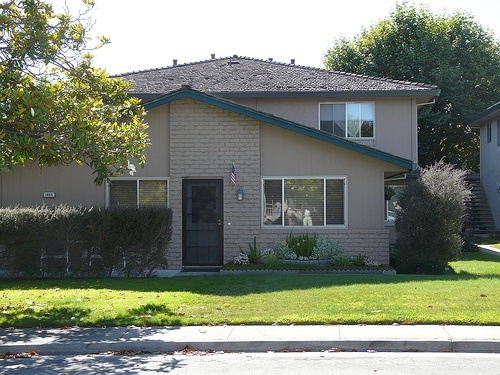 Call Property In Santa Cruz (831) 818-7524. Your Capitola neighborhood REALTORS® and agents are here to help with the Capitola housing market.? Want to purchase a home in Capitola? Call Property In Santa Cruz (831) 818-7524.Your Capitola neighborhood REALTORS® and agents are here to help with the Capitola housing market. ?